Concours: Gagnez un voyage en Ouganda pour le Forum RWSN en Novembre et un prix en espèces! The Forum will be held at the Speke Resort Conference Centre at Munyonyo, Kampala (http://www.spekeresort.com/), and will be using the Speke Ballroom plus four break-out rooms on the floor below. 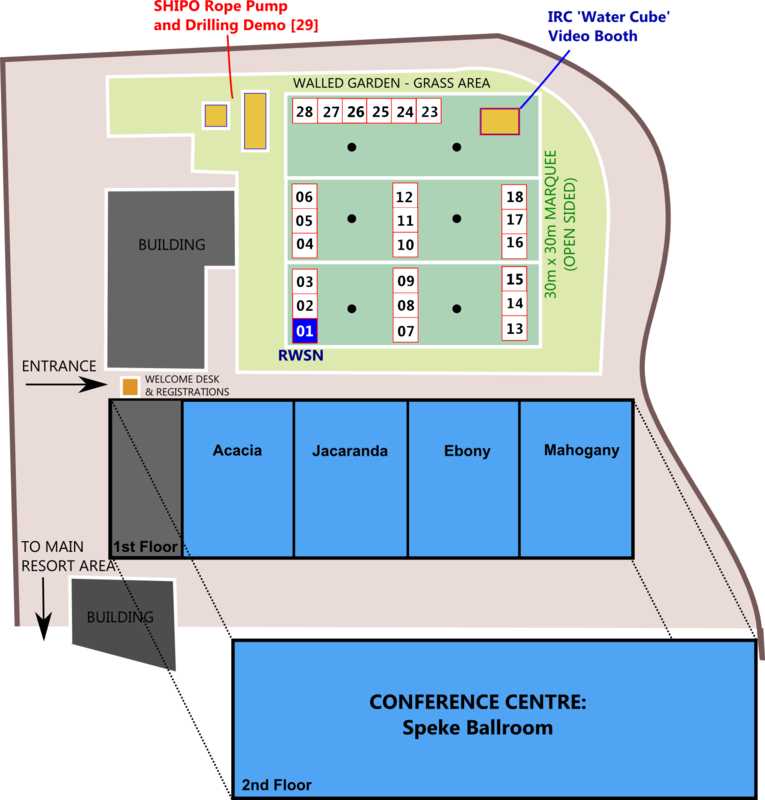 The conference centre overlooks a garden where three 10m x 30m open-sided marquees will be erected to provide a 30m x 30m exhibition area where delegates will be invited to mingle during the breaks between sessions. Wednesday afternoon is dedicated to the exhibition and the poster displays, giving delegates the opportunity to browse and discuss the material on show.